Apache Design's Andrew Yang, on the ANSYS acquisition and simulation-driven product realization. Rather than quickly passing over the obligatory opening slide, Andrew Yang stops and points while reading the text that encapsulates the central purpose for our meeting - "Apache Design Solutions, a wholly -owned subsidiary of ANSYS, Inc." On August 1, ANSYS announced that they had successfully closed their purchase of Apache, for approximately $314 million in cash. The wholly-owned subsidiary designation is key. Dr. Yang will continue to carry the title of President of Apache Design Inc., while also assuming the role of Vice President and General Manager - as a member of ANSYS' senior management team. 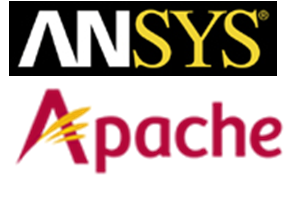 ANSYS is intent upon keeping Apache intact post-acquisition, with a total of $25M in payments and incentives that will be doled out to Dr. Yang, his staff and employees on the next three anniversaries through 2014. With the acquisition now complete, taking just 7 weeks says Dr. Yang (but only 1 month after the June 30 announcement), he wants to address two questions that he has heard repeatedly: "Why no IPO? ", and "Why ANSYS?" On the first question, the current condition of the stock market probably provides all the reason one needs for avoiding an IPO. But, if that were not enough, Yukari Ohno - Senior Director of Marketing, correctly points out that IPOs are a lot of trouble. Beyond market volatility, the additional work for regulatory filings, Sarbanes-Oxley, etc. make IPOs much less attractive than those who have already forgotten (or never knew) the dot-com bubble may think. On the second question, Dr. Yang first points out that ANSYS is very experienced in M&A (mergers and acquisitions), and has been successful in two other large acquisitions: Ansoft in 2008, and Fluent in 2006. Furthermore, the company has been in business since 1970, and has (an astounding by EDA standards) 40,000 customers across industries that include aerospace and defense, robotics, industrial, energy, and automotive segments. The acquisition extends the ANSYS portfolio of tools to the chip level, where semiconductors are obviously critical to electronics system realization, with the goal being "chip aware system-level engineering simulation". In the process, Apache gains access to a much larger customer base and sales channel. When they were promoting Apache for a potential IPO, the company vision that was presented to investors consisted of a set of solutions that spanned chips to packages to PCBs (printed circuit boards). This was a path that Apache was already on, starting with the acquisition of Optimal for package and board analysis in 2007, and continuing up to the RTL (register-transfer) level with the Sequence acquisition in 2009. Becoming a subsidiary of ANSYS will accelerate the vision of moving Apache up to system-level design, says Dr. Yang. Now, the vision is that the combination of Apache and ANSYS will enable the combined companies to develop a unified solution to address signal integrity and power integrity, from chip to package to board. Signal integrity and noise issues, that may start with capacitive C(dv/dt) switching noise effects at the chip level, couple to inductive L(di/dt) effects in a package, and result in EMI (electro-magnetic interference) on a board. ESD (electro-static discharge) is also as serious on a board design as it is on a chip. ANSYS plans to integrate the Apache tools into a consistent workflow with their Workbench Platform, as they had previously done with the Ansoft tools. With smartphones and mobile devices now driving the electronics industry, more analysis and optimization is required, which Apache-ANSYS describes as simulation-driven product realization. The challenges of 3D IC development will also be a focus, calling for co-simulation across component levels, including thermal analysis that ANSYS provides and which Apache had previously attempted to develop on their own. To connect the chip to higher levels of system simulation, Apache will leverage their expertise in creating compact abstracted models, such as the CPM (Chip Power Model), and the CSM (Chip Signal Model) for DDR (double data rate) memories. This will be the key to enable handoff from Apache tools to the Ansoft/ANSYS 3D finite-element analyses. Apache will retain their 100% time-base licensing business model, adding a stream of revenue predictability to ANSYS' sales that continue to contain a mix of perpetual licenses. As Dr. Yang sees it, regardless of the industry, success requires a combination of delivering customers value through a continual process of innovation, and the must-have of a sustainable (i.e. profitable) business model. As his earlier successes with Anagram, CADMOS, InnoLogic Systems, Ultima Interconnect Technology, and Mojave show, Dr. Yang has a knack for executing on that formula that few (if any) EDA executives can match.